The US has redeployed a squadron of A-10s to Afghanistan to boost joint efforts against the Taliban, particularly targeting the group’s drug facilities. The deployment comes as the anti-Daesh campaign in Syria and Iraq scales down and as demand for precision strikes and close air support increases in Afghanistan under US President Donald Trump's South Asia strategy. The Warthogs, armed with a 30 mm cannon and known for their ability to fly low and slow, can provide air support while undertaking counterterrorism missions and targeting Taliban narcotics production facilities, the US military said in a statement on Tuesday. — Lara Seligman (@laraseligman) 23 января 2018 г. 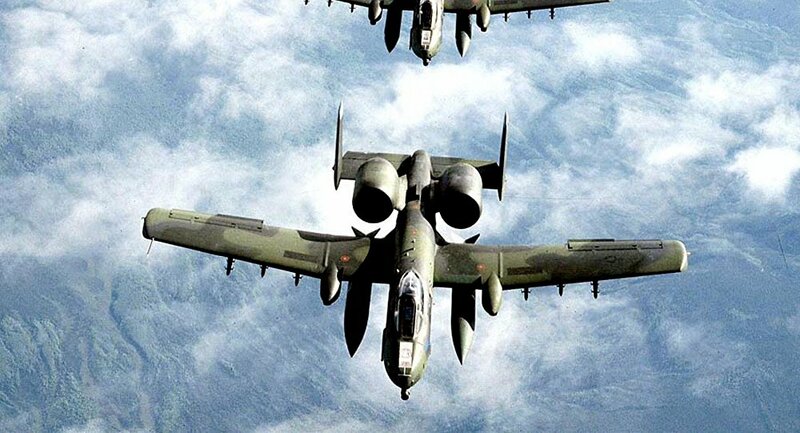 "Under the authorities granted in the South Asia Policy, precision strikes with A-10s will hit the Taliban where they are most vulnerable: their revenue streams and profits from developing and selling illegal narcotics," the statement said. The A-10s, from the 303d Expeditionary Fighter Squadron, deployed to Kandahar Air Field on January 19 and have already started flying missions as part of a US and Afghan air campaign targeting Taliban revenue sources, particularly drug facilities. "The Taliban still has not felt the full brunt of American and Afghan air power," said James Hecker, commander of 9th Air and Space Expeditionary Task Force-Afghanistan and NATO Air Command-Afghanistan. "With the arrival of new air assets and the growing capabilities of Afghan pilots, the Taliban will have a constant eye toward the sky," he said. In addition to the A-10s, the US has deployed MQ-9 Reaper drones to provide armed overwatch and reconnaissance of the battlefield, as well as HH-60G Pave Hawk helicopters for personnel recovery and combat search and rescue, the US military said in a statement. Afghanistan supplies roughly 80 percent of the world's opium, and production is still on the rise. In 2017, a record of almost 10,000 tons of opium was produced, according to a joint survey conducted by the United Nations and the Afghan government. Last year saw a major rise in the number of airstrikes against militant targets in the country, beginning shortly after US President Donald Trump took office a year ago. In August, Trump announced that he would give commanders greater strike authorities as part of his strategy for the region.